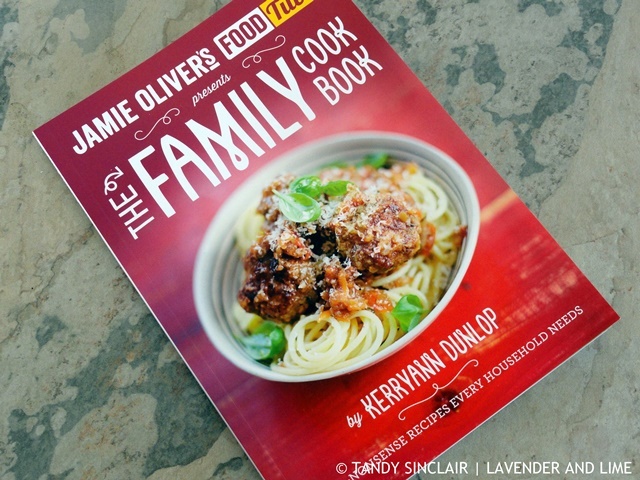 The Family Cook Book is the first book in the series of Jamie Oliver’s Food Tube books. Kerryann was a student at Fifteen and joined in their first year. She now works in a children’s nursery and says “you don’t need lots of money to eat well – you just need to be clever about how you shop and how you cook” (paraphrased). The book contains 50 no-nonsense recipes every household needs and is divided into 5 categories. Before Kerryann gets on to the recipes she shares tips for making food fun, which include getting your children involved and sitting down to eat as a family – something we really believe in. In the breakfast section I am going to try the cornmeal porridge (p28) as it is made with coconut milk. For snacks and quick fixes, which include both sweet treats and healthy snacks, the menemen Turkish style eggs (p50) caught my attention as I love eggs done this way for a special breakfast. It is worth noting that these contain chillies, something most kids do not have a palate for. Batch cooking is a great concept for working mums and the recipes here include roasted tomato soup (p62), cottage pie (p66) and majestical mac ‘n’ cheese (p70). For dinner time there is homemade fish fingers (p86), roast chicken dinner (p88) and salmon and pea risotto (p102) which all show that home made is always best. I will definitely try the griddled courgettes (p108) and the honey and cumin-roasted carrots (p122) from the sides as it is great to have new ideas for the vegetables we eat. Even though this book was sent to me by Penguin Books South Africa to review, I am not allowed to publish a recipe from the book due to it being an international publication. 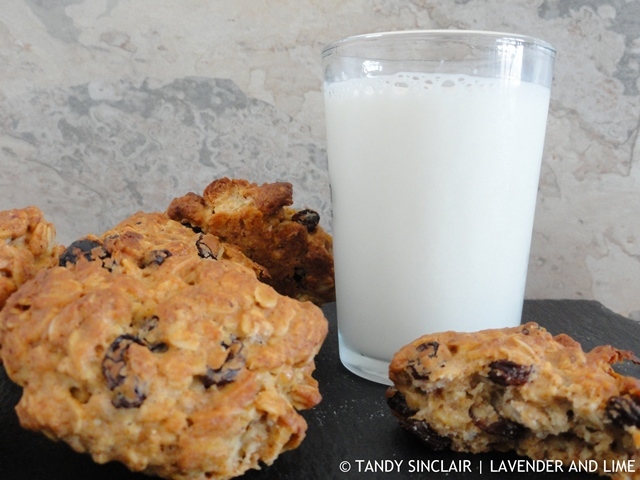 I did however test the recipe for oat and raisin cookies (p42), substituting the golden syrup for honey and the caster sugar for fructose. I made half of the recipe as only Dave and I would be enjoying this treat and it made 20 cookies. The recipe states it will make 26. We enjoyed the cookies, which were not very crunchy but were very tasty. This is a great book for any new mum, who wants to learn to cook for her family. Looks like a great book and those cookies look delicious!! It looks like a great book for tasty family style recipes! The home made fish fingers sound really interesting too! Hi Tandy, oh how I love Jamie Oliver’s recipes! Looks like a good commonsense book – Tandy. Cook Book sounds great. Your cookies look perfectly baked. Tomorrow, Pearl (my dreaded oven) is supposed to get fixed. Today I tried to bake and half of my oven does not even make heat… so no baking today for me..